Limited Edition Holga 135 35mm Camera with Pendleton Camera Case! 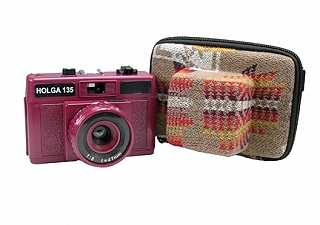 Now get your Holga 135 Camera with this limited edition Pendleton Wool Camera case. Kit includes the Holga 135 35mm camera with Pendleton 35mm camera case. Holga 400 ISO 35mm x 24 exp.